Congressional Democrats raise ethics questions about Trump defense fund - Integration Through Media ....! 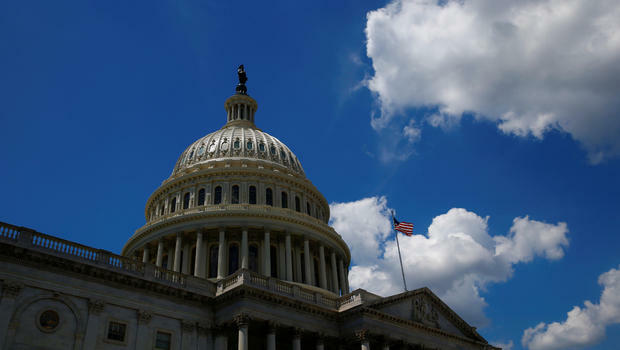 WASHINGTON, (AP): Congressional Democrats raised ethics questions on Monday about the framework of a defense fund set up to help pay legal costs for White House, Trump campaign and transition officials caught up in investigations into Russian meddling in the election. Eighteen House Democrats claim the new defense fund appears to be structured more loosely than ones in earlier administrations. Because of the way it’s set up, the fund could receive donations from lobbyists or others with interests before the Trump administration — and also could be used to influence witnesses, the Democrats warned in a letter to David Apol, the acting director of the U.S. Office of Government Ethics. The Democrats asked the ethics office to provide records documenting communications between Wiley Rein LLP, the Washington law firm that set up the fund, and White House, Trump campaign and transition representatives. In late January, Apol told a group of Washington lawyers who set up the fund that a draft agreement of its structure appeared to be “in compliance” with federal ethics law. The ethics office, however, has not officially approved or disapproved of the structure of the fund — Patriot Legal Expense Fund Trust LLC — which has been in operation since late February. The fund was established in Delaware as a nonprofit organized under Section 527 of the U.S. tax code. That designation requires the fund to tell the Internal Revenue Service the names of all donors who donate more than $200. The Democrats claim the Patriot fund appears to allow donations by lobbyists or others with interests before the government — and could perhaps evade disclosure altogether. Despite the IRS requirement, the Patriot fund does not appear to prohibit donors giving money “on behalf of other undisclosed donors,” the Democrats said. And while Office of Government Ethics guidelines prohibit donations from lobbyists or others with governmental interests, the Patriot fund says donations for legal expenses would be banned only if the donor “indicates in writing that the contribution is being given because of an eligible recipient’s position or performance of duties.” It’s not clear from the fund’s draft how donors would be compelled to provide that information. Democrats also raised concern about the fund’s role in the possible influence of witnesses. Ethics rules ban contacts between the manager of a legal defense fund and those aided by the fund. But Democrats warned that a loophole would still let the fund manager contact Trump campaign representatives, who could, at the same time, remain in touch with fund recipients. A group of Wiley Rein lawyers sent a draft agreement of the Patriot defense fund to the ethics office on Jan. 29 after discussions with agency officials. The fund was officially unveiled in late February. Wiley Rein has deep expertise in election law and several partners have a history of ties to Republican administrations and the GOP. A spokesman for the law firm was not immediately available to respond to a request for comment from The Associated Press about the House Democrats’ letter. According to the draft, the fund would “be operated as a political organization,” with its donations listed in total in annual filings with the IRS. Previous defense funds, such as two 1990s-era funds for former President Bill Clinton and former first lady Hillary Clinton, had voluntary caps on the size of donations. The Patriot fund does not appear to have any limits on the size of donations. The draft explicitly says the fund was “formed to provide assistance paying legal expenses for persons involved in the investigations by special counsel Robert S. Mueller III,” House and Senate inquiries into Russia meddling and any other congressional probes.